Well this is a new veg for me...I have never tried Olkopi before...looks great...also now I know what Dalna means...ohhh learning something new everyday...~grin~...thanks for sharing.. So now I have another recipe for Kohlrabi. Thanks so much. What a coincidence, I just bought kohlrabi today and was searching other blogs for a recipe! BTW, I just made your breadrolls and posted them on my blog. They turned out delicious. This is new to me!!!! Till now I have eaten kolrabi only in salad!!! Can make curry also???!!!! 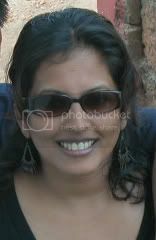 is something new to me :) Thanks sandeepa.... the pics are lovely!!! How do you all the border and copyright to it??? Sandeepa, Olkopir Dalna love the name sounds like a song. Recipe is something I should try. 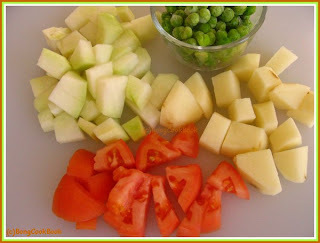 I ususally cook this vegetable in sambhar and can't really say I liked it. You can do a kheema thing by grating it and tempering it - but it's a drag to grate! I remember it tasted quite nice. Like Lauki, is it. The way you can grate lauki and koftas, is it the same way ? They are always available in Walmart Super center,I love this veg in Pulaos too.Looks great.We call it KnolKhol in B'lore,widely available in there too.Enjoy. hi sandeepa, i had tried this one for the first time just 2 monthes back..just loved it..So now i have a new recipe for this.Thanks for sharing. BTW..could you plz send me the link and pic for AFAM-strawberry. we call this as noolkol.my hubby is a great fan of this dish.i have made another recipe with this.will post it soon.. I first discovered this vegetable when my family moved to Illinois. My husband's family is Czech and they ate it quite a bit. I love your recipe because it has all the spices that I crave. Your pictures make me very hungry! Sandeepa, I've seen this before but never picked it up. 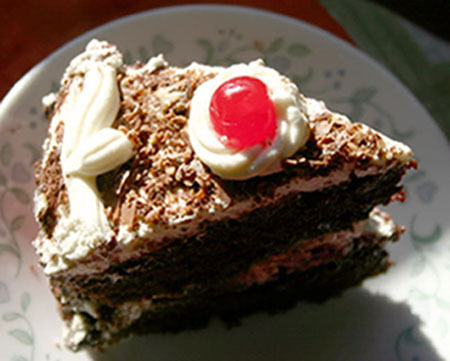 Now will try making this recipe. Tomar kamlalebur payesh baniye chilam. It was delicious! No, I just meant as a grated dish, too lazy to make koftas, me! Yes we do use Nookol whenever whenever its in season, if i remember right, my mom/grandmom use it in sambhar as a veggie or make a Kootu, which is veggies cooked with dal as a gravy kinda dish to be had with rice. 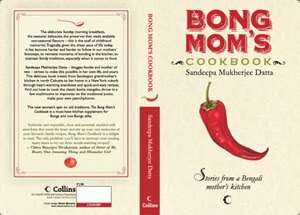 The bong version of it surely sounds exotic, both the name and the recipe. ooohh, such a cutie veggiie! haver never seen it or even heard of it before! :) i'm glad i popped by! 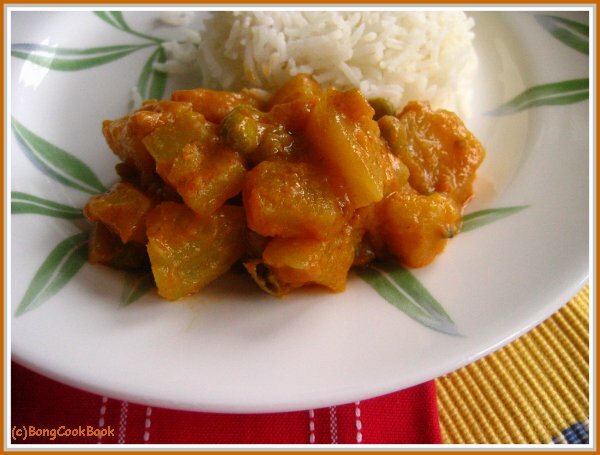 Olkopir Dalna bhalo laglo Dhekhe, khete parlam Tai Dhokho..
aamra Olkopir Jhol Banai , Dalna try korbo ..
Hii Sandeepa,that was a lovely research on kohlrabi! !That was quite interesting....thanx for sharing it. 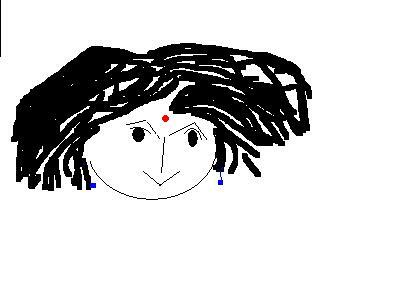 Do peep into my blog and lemme know if you like it!!Cheers!! Hey, thats beautiful! the first picture is so awesome...How did you click it? This is one veggie I have yet to try! i love making friends with new veggies. 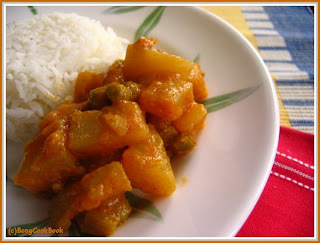 i have never cooked with kolarabi so now i am curious.i don't think i have even eaten it. Thanks for visiting my blog. In Nj you can get fish in Edison. But I think you should get it in MD also. I remember Shilpa (Aayi's recipes) posted abt this vegettable some time before.. Now when I went to India my aunt had cooked this veggie in a diff south indian style and it tasted good.. I will post that sometime later. Ur picture looks wonderful ... Another new recipe with that veggie. thanks. Very nice looking dish. Your photos look great. I remember when my parents first planted kohlrabi in our vegetable garden when I was a kid and everyone in the neighborhood came to see this strange plant. I don't think it has ever gotten the attention it deserve in the U.S. because it's so tasty and very nutritious. Maybe we can change that! After seeing Lera's post and now yours, I want to try this vegetable. 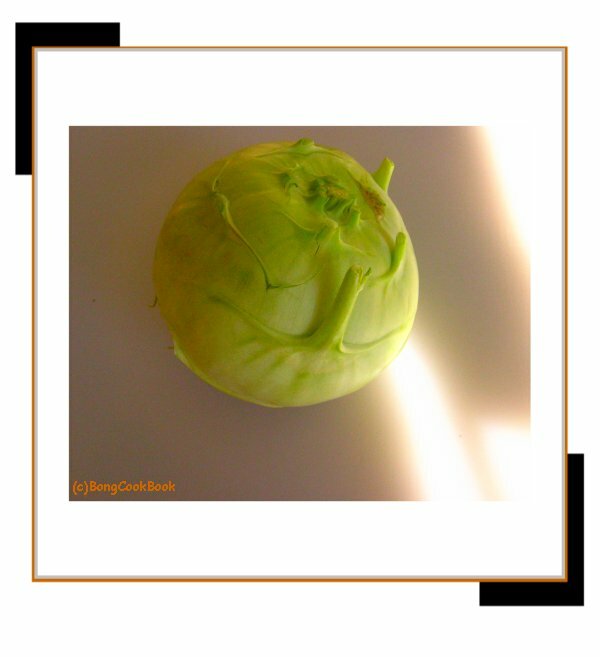 my family loves kohlrabi, and I´ll introduce tehm with your delicious looking recipe. The photos are great! I get great light only in the mornings, so I'm trying to cram all my photography in a couple of hours! The recipe sounds great. Will try it. And I'm totally 100% with you on the Valentine's Day mumbo-jumbo! But I still expect the flowers nevertheless!! haha! Hi Iam going to make this dalna to day 1 thing i want to know is no green chilies or red chili powder in the recipe?